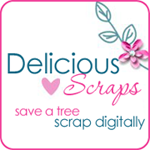 Delicious Scraps: Gorgeous OKC Layouts with "Pink Love" and new CT Member - Denise! Gorgeous OKC Layouts with "Pink Love" and new CT Member - Denise! Here is "Pink Love" Click on the previews to grab it from my shop for only 99 cents. These beautiful pages were made by Denise - just click on the previews to visit her blog. This beautiful page was made by Yvonne. Click on the image to visit her stunning gallery at DST. These pages were made by Lisa. Visit her amazing photography site Renaissance Photography. Gorgeous pages. This page was made by Ryan - so absolutely adorable! Click on the preview to visit her gallery! These cute pages were made by Cecilia. Click on the pages to visit her blog. This lovely page was made by Mara. Click on it to visit her blog! And last but not least - two beautiful QPs by my CT member Toni!! Visit her blog by clicking on the previews to grab them!! THANK YOU LADIES!!! These pages are simply FABULOUS!! Thank you for your sweet freebies. They're adorable and so is your kit. I'm impressed with all of the layouts made with it, too! Thanks for the awesome freebies!! I just love your work! Thanks for the freebie! I just started with digi scrapbooking and I am having a blast getting to know the ins and outs of it.